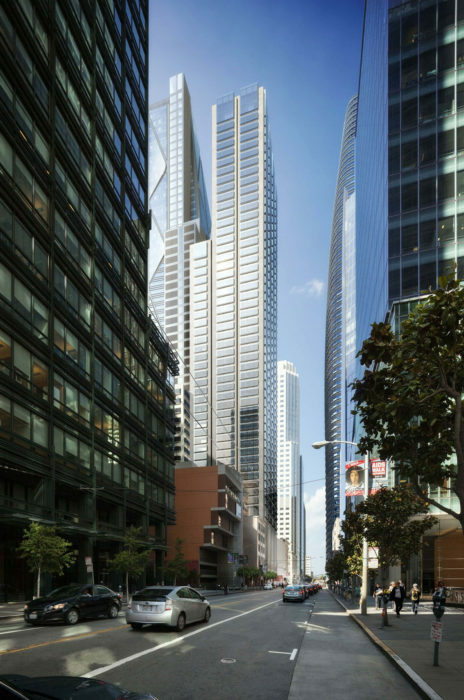 Located in San Francisco’s Transbay neighborhood and designed by Foster + Partners, the Oceanwide Center is a development consisting of two towers that will redefine the San Francisco skyline for years to come: a 900-foot-tall mixed-use tower on First Street (which, when completed, will be the second tallest in the city) and a 625-foot-tall residential tower on Mission Street. The First Street tower is remarkable for its geometry as well as for its generous public podium. The first six floors of the building are completely open, creating a generous, public “urban room” framed by the stainless steel-clad structure. 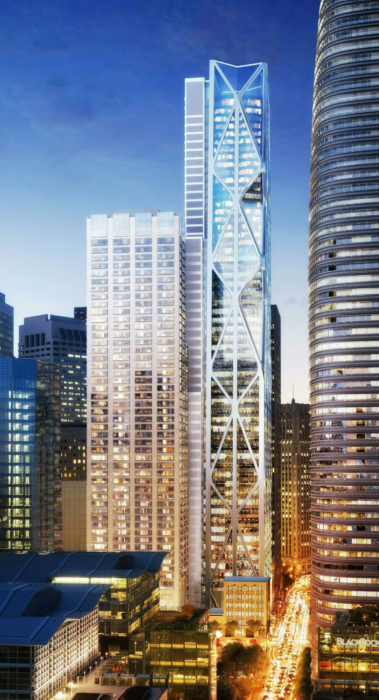 In lieu of a central core, the building is supported by a structural steel diagrid. 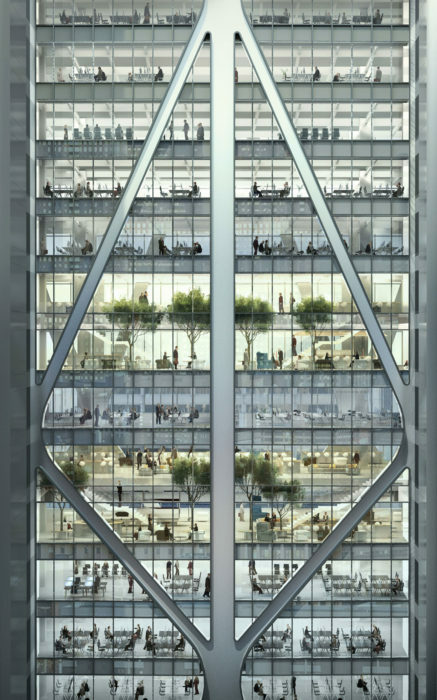 Combined with the tapered massing, this diagrid structure is the point of departure for the tower’s “bird’s mouth” silhouette and faceted curtain wall geometry. 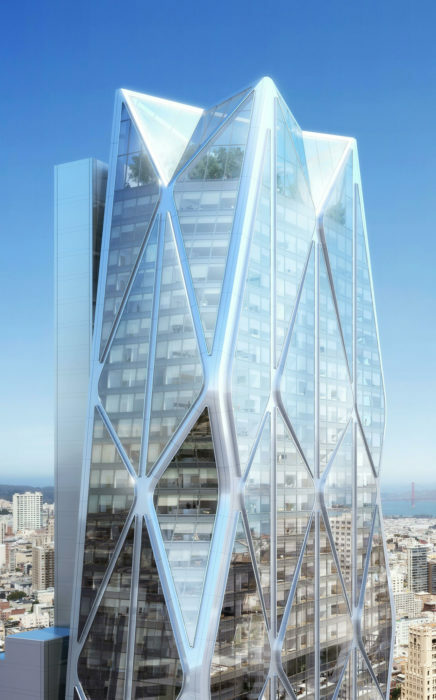 The curtain wall incorporates recessed, stainless steel diagrid cladding, high performance glass, and a custom aluminum profile. The Mission Street tower is an elegant, modern interpretation of the traditional bay window buildings found throughout the city. The tower is wrapped in an array of expansive windows appearing to float in front of the stone-clad walls. 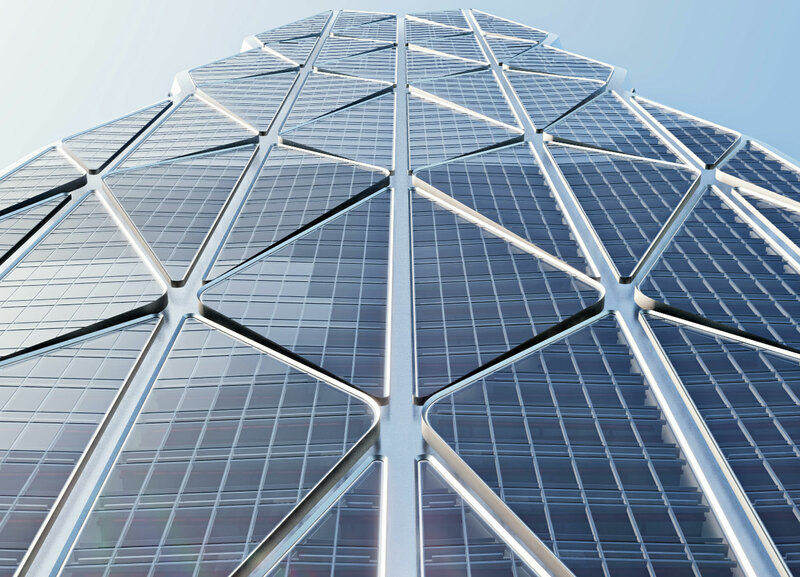 Heintges provided curtain wall and building envelope consulting for all phases of the project. Images courtesy of Foster + Partners.